Homefront: The Revolution is now available on Steam and some players are encountering errors in the game and they are unable to play it. The game is an open-world first person shooter where you must lead the Resistance movement in guerrilla warfare against a superior military force. The most encountered Homefront: The Revolution errors are Performace Issues, apparently the game is super laggy with constant Low FPS or FPS Drops. Other errors reported are crashes and issues when starting the game, missing executable error or nothing happens. It’s 2029, and the USA is now under occupation by the KPA – the Korean People’s Army. The KPA has established their capital or administration for the occupation in Philadelphia, the original birthplace of American Independence. It is in Philadelphia where you and the Resistance plan, strike, and take back the city in an open world story-driven campaign. First, make sure that your PC meets the minimum system requirements of the game, you can find them below. After that go ahead and search for your issue in the list below where you will also find a solution on how to fix it. Some players are encountering random crashes throughout the game or when they try to start it. To fix this crashes you should try to restart Steam and check for a new update of the game or follow our tutorial at the end of the post if this tip won’t help you fix the crashes. A lot of players are encountering performance issues, apparently this is the most encountered issue in the game. Low FPS and other performance issues like lag or stuttering are making the game unplayable. Even players with a high-end PC are encountering these types of issues. Read the review of the game below that describes the optimization of the game. Even with a mid-high end PC (GTX970 and a second gen i7) This game is optimised terribly. Even when turing every setting down to low I can’t even hold a steady 60fps. The shooting feels terrible, inacurate, and jerky, along with enemies feeling very bullet spoungy. I actually love the setting, and was hoping for something like another Freedom Fighters with this, but it’s such a ♥♥♥♥ poor attempt, avoid this game. Solution for Performance Issues: To fix the game performance issues and achieve a stable frame rate you need to check our tutorial below and apply it to your game, after that you should have constant fps and no lag. But make sure to meet the system requirements of the game before of following our tutorial. Some players that preloaded the game and unlocked it are unable to start due to some “Missing executable” error. Even after they verify the game files and restart Steam this error is not fixed. Other also reported that nothing happens when they try to start the game from Steam or that they get a crash to desktop. Apparently an update is now available for the game and you just need to restart the Steam and apply the update to your game. If this won’t help check the workaround below, that was posted on the Steam forum or better follow our tutorial at the end of the post to start your game with no issues. Close Steam, go to programs/steam to the appcache file and delete it. Restart computer, before restarting steam disable firewalls, antivirus and all the like. then start steam and let it do its thing. after all is done activate your firewalls and antivirus and anything you turne off. try to run game. it worked for me. Our team of developers managed to release a patch that helps you fix the errors described above. You can see how our patch looks like below, where you can also find a tutorial on how to use it and a download link. Please follow the tutorial step by step before asking any questions regarding your issues. Our patch won’t interfere with your Steam account, it will just change some files and .dll in the game folder for the errors to be fixed. How to download: Well, you might think that our download service is pretty annoying but is very effective. To download you just need to complete a simple offer, it usually takes a few minutes, and after that, you will be able to download the patch. We use this service because is the only way to support our developers and to keep releasing and updating patches for games. Thank you! 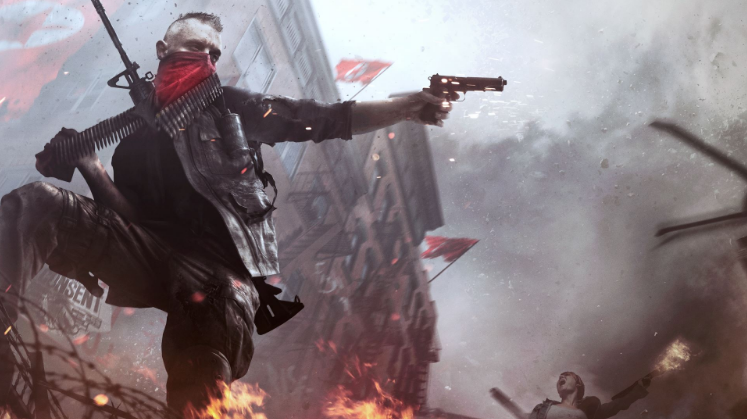 We hope you understand us and have fun playing Homefront: The Revolution! Just after displaying the opening logos, the screen starts flashing off/on. Have to kill the task. Remove the stupid offers and put in ads like normal people.